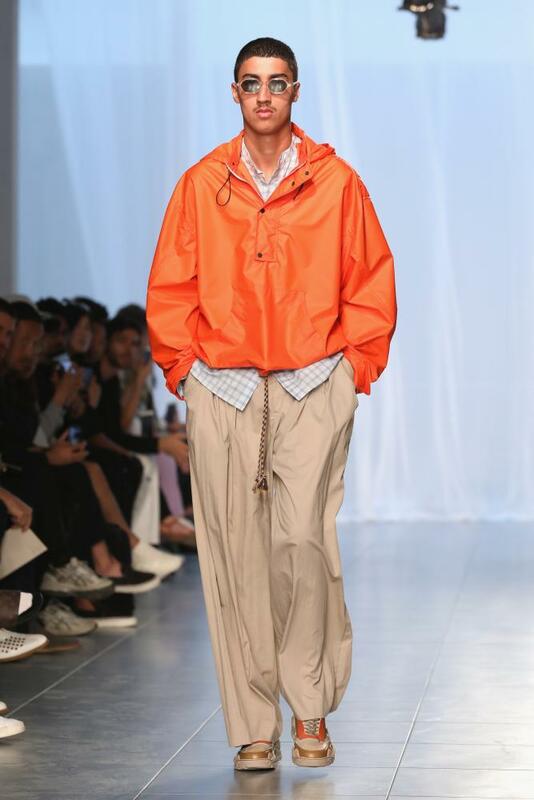 It’s not often a menswear season steals as many headlines as the recent run of spring/summer 2019 shows, but pilfer they did. 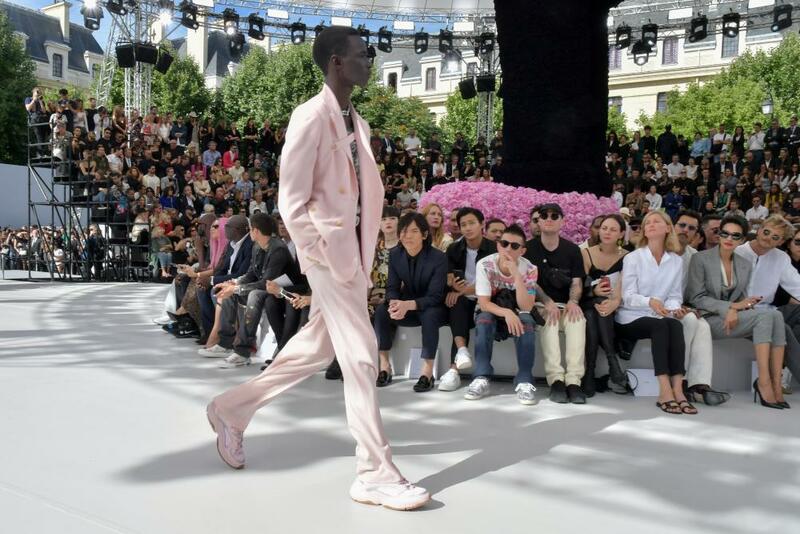 Between Virgil Abloh and Kim Jones’s high-profile respective debuts at Louis Vuitton and Dior Men, David Beckham’s first season as ambassadorial president of the British Fashion Council (and a flashbulb-popping appearance at the Kent & Curwen presentation alongside wife Victoria), Maison Margiela’s first menswear couture show and Calvin Klein creative director Raf Simons returning to Paris to show his eponymous label, the season became an unrelenting and reinvigorating expression of ideas. 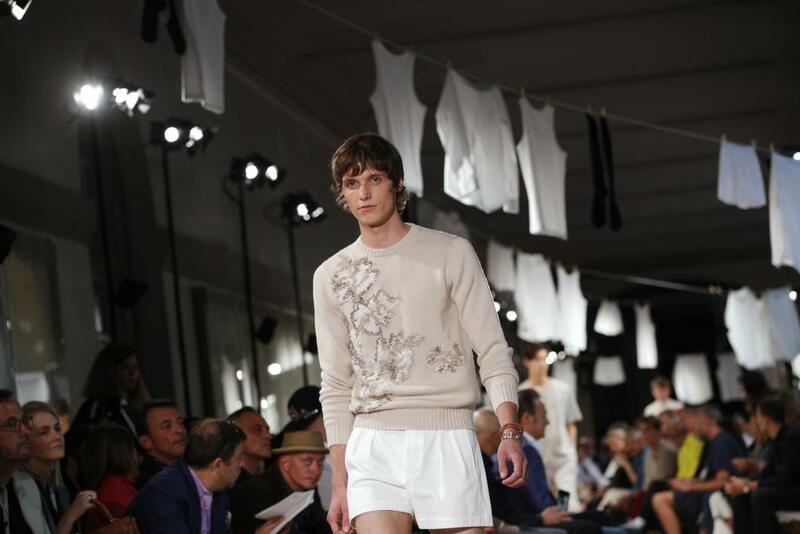 Here are the eight main trends to take away. 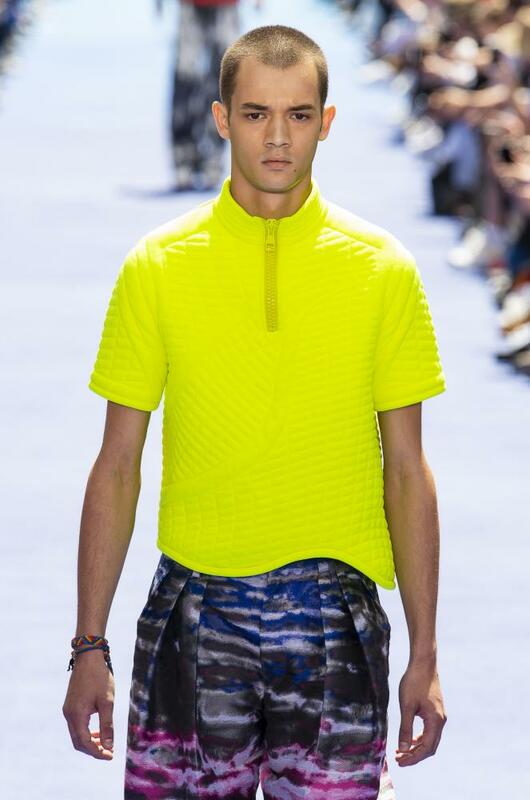 Day-Glo dreams. 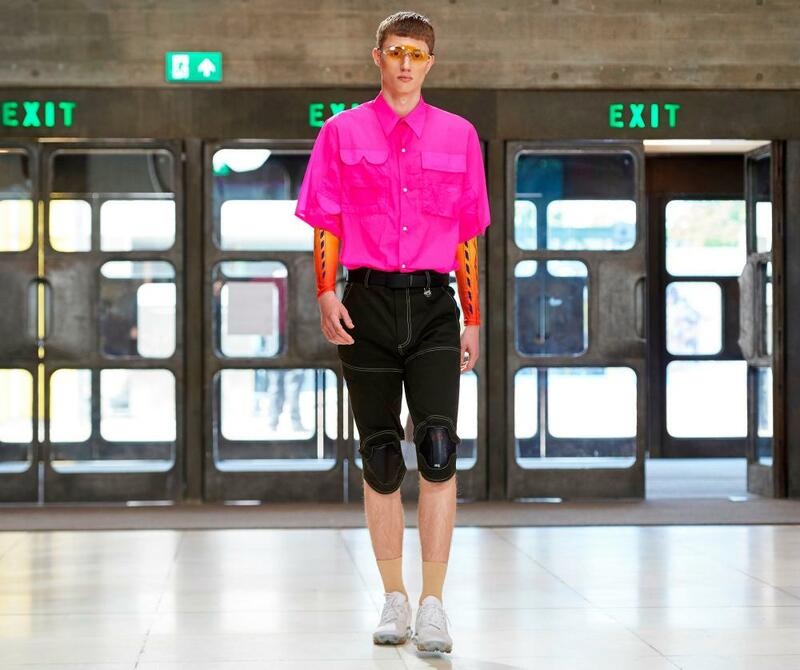 Neon popped up on sports tops, holsters and body warmers at Louis Vuitton, on sweatshirts at MSGM, on shirts at Xander Chou, on padded bomber jackets at Charles Jeffrey Loverboy and on suiting at Acne and Versace. 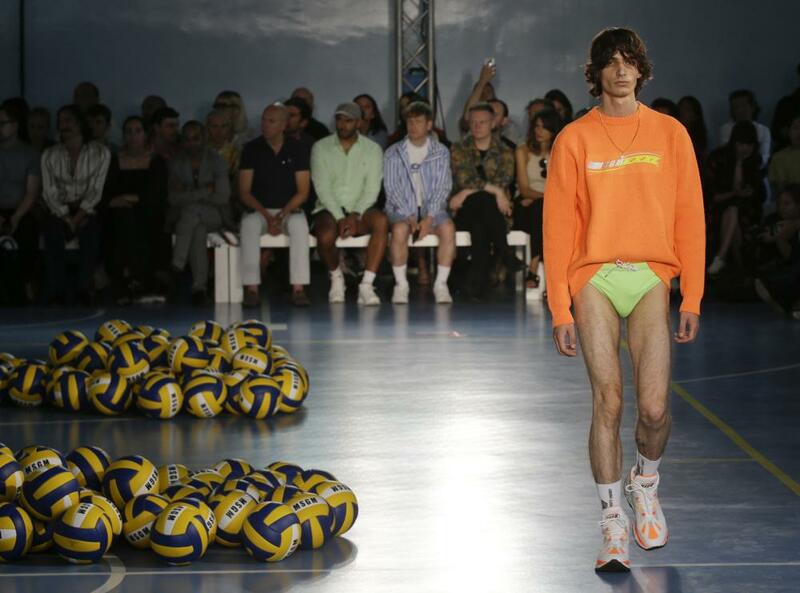 The upshot? 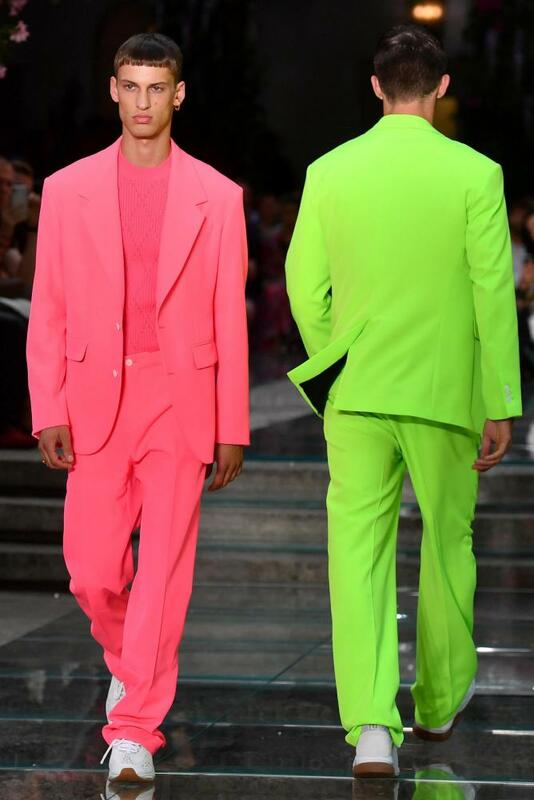 There’s a flavour for every raver. 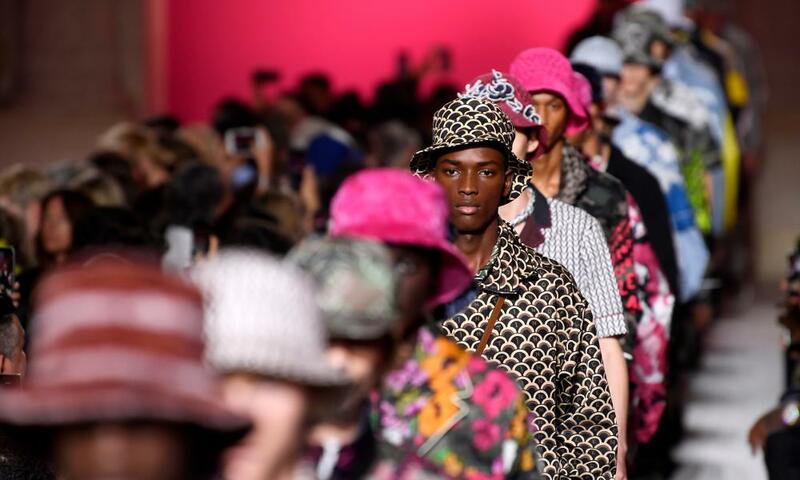 Momentum had been building throughout New York, London, Florence and Milan, but it was one of the final shows in Paris that cemented handbags as a bona fide trend for the boys next year. 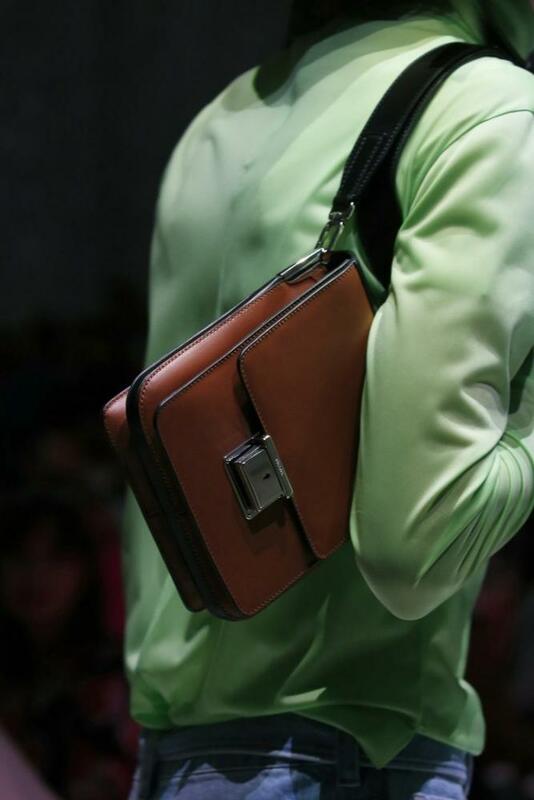 Newly installed artistic director of Dior Men, Kim Jones, reimagined the iconic women’s Saddle bag for the first time for men in backpacks, cross-body and belt-bags (cue cult status). 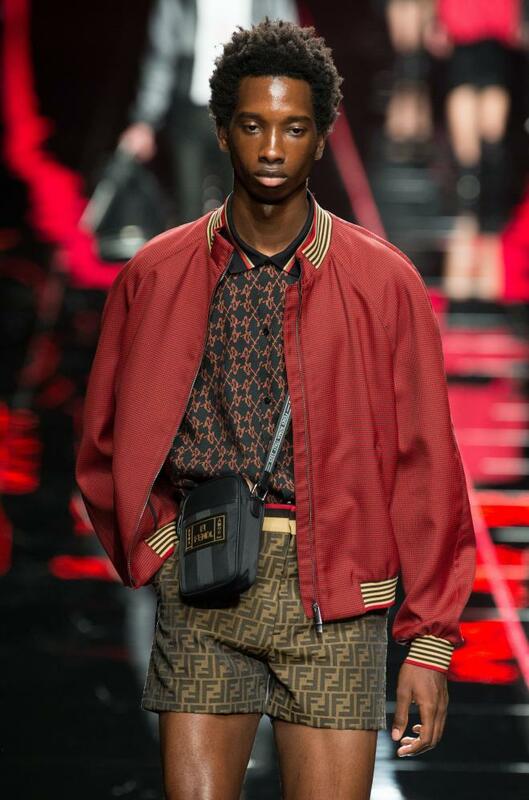 Elsewhere, Jones’ successor back at Louis Vuitton, Virgil Abloh, was all about the handhelds; his red plastic Keepall bags are pegged to be a big hit. 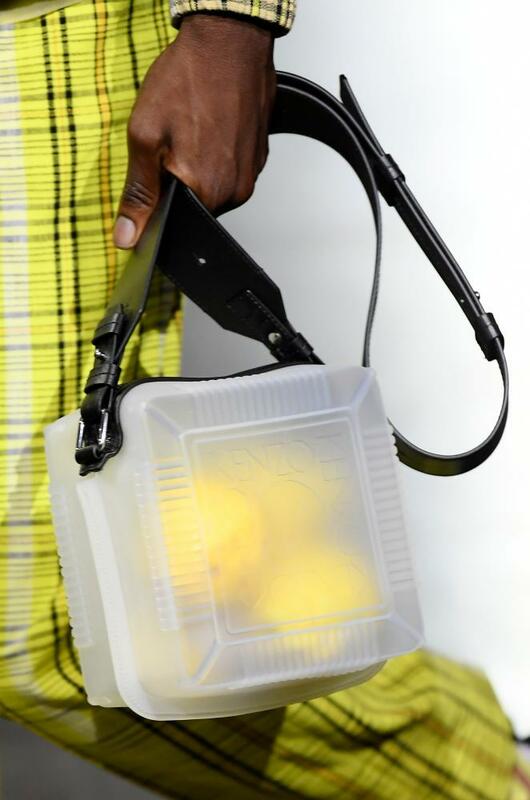 Prada and Versace also got the memo creating shoulder and cross-body styles, while clutch bags at Dunhill, lunch boxes at Kenzo and bucket bags courtesy of Lanvin. 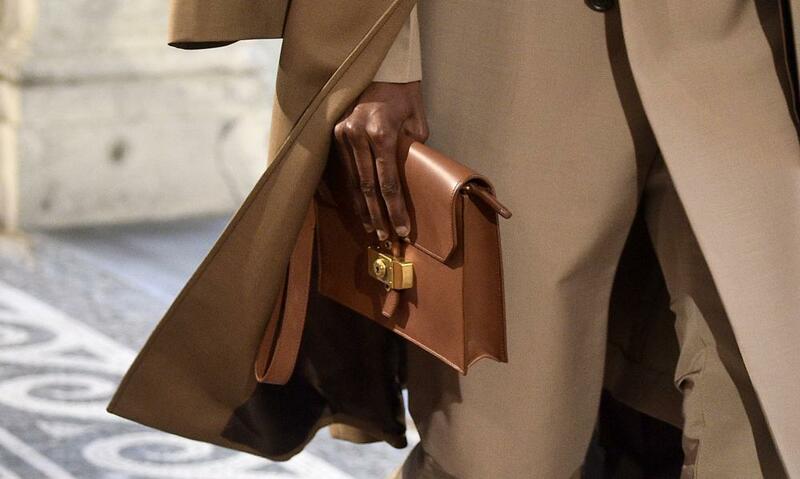 Safe to say it’s all about the bag. The 90s music scene had a dominating presence at the shows. 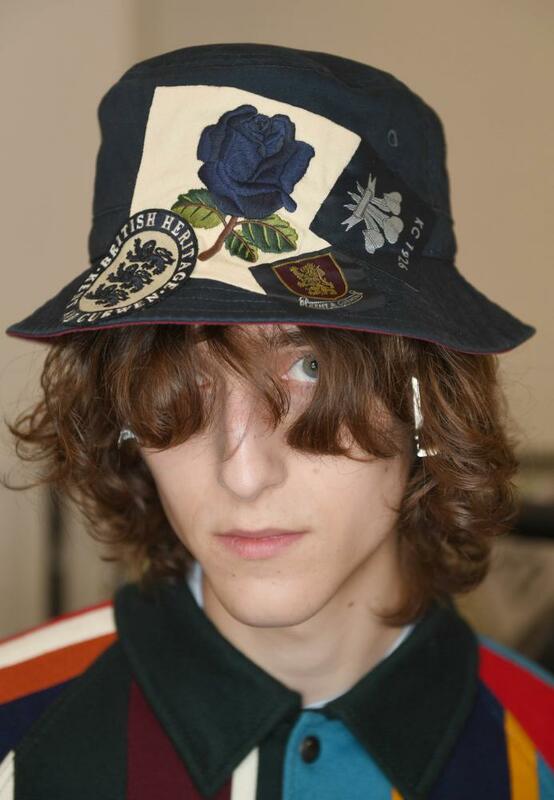 Britpop offspring could be found on the front row and the catwalk, the Stone Roses were the inspiration for Kent & Curwen’s London presentation and an item distinctively synonymous with the era was out in force. 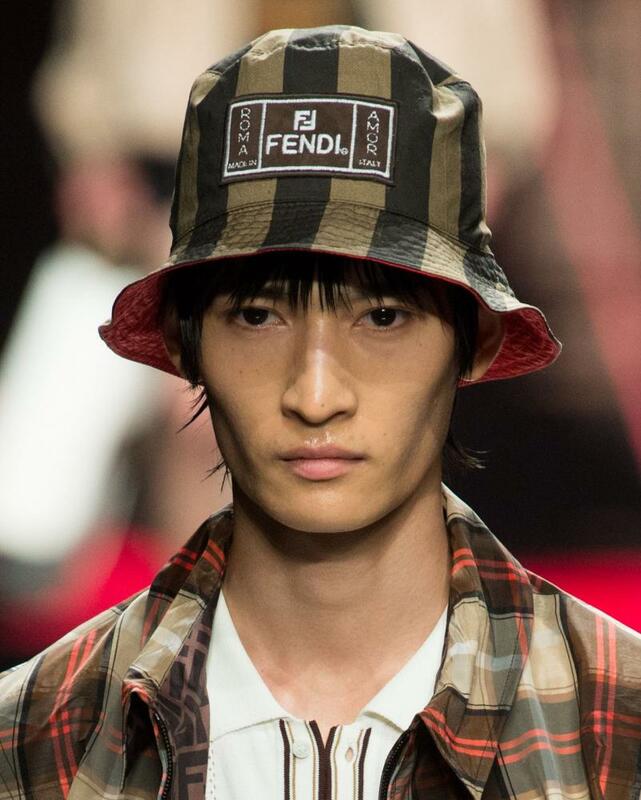 Yes, the bucket hat is back and it’s come a long way from Kangol. 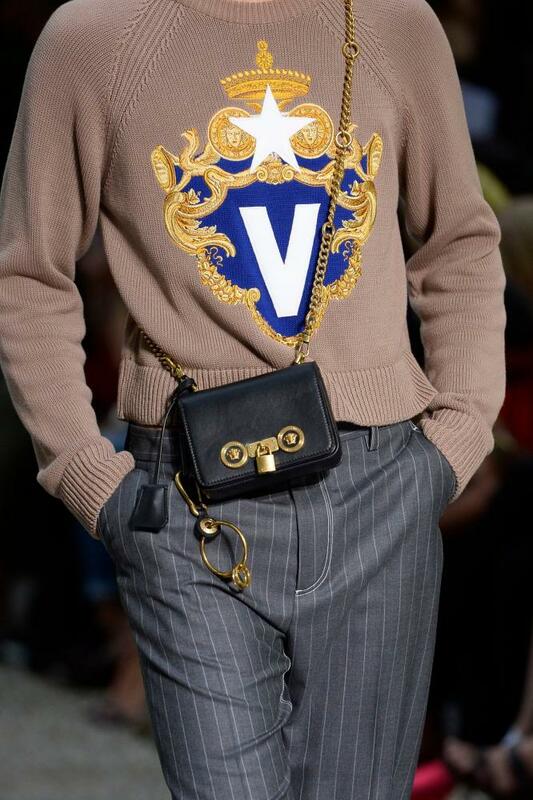 Valentino, Fendi, Jacquemus, Band of Outsiders and (naturally) Kent & Curwen put it back on their agendas. 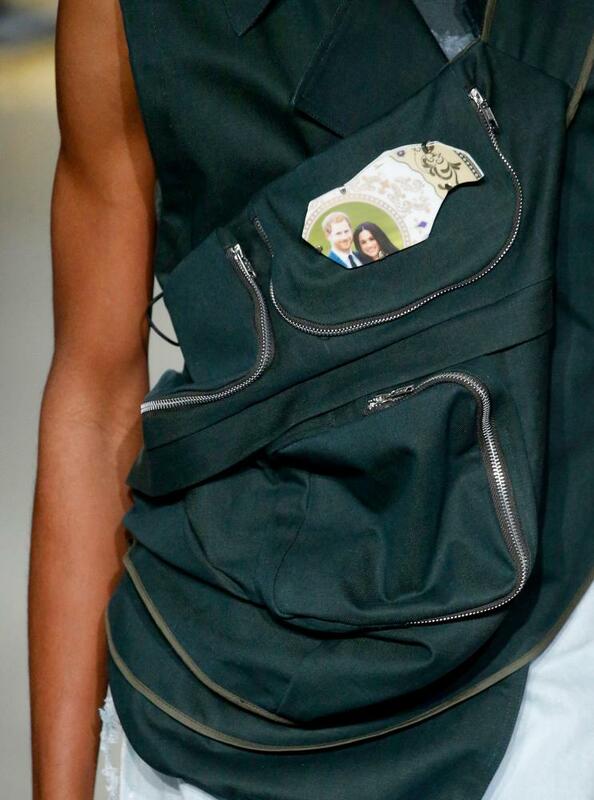 It came printed and textured, patchworked and plain and brimming with with its inherent “care, don’t care” vibes. 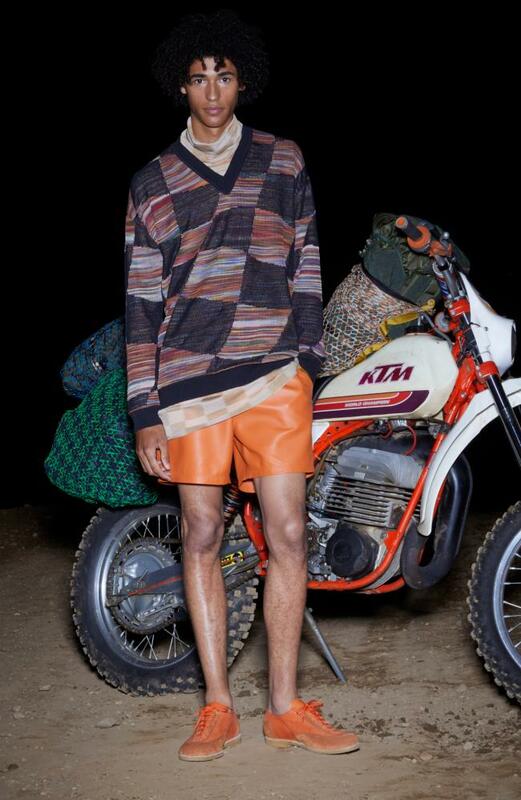 It came printed and textured, patchworked and plain and brimming with with its inherent “care, don’t care” vibes. 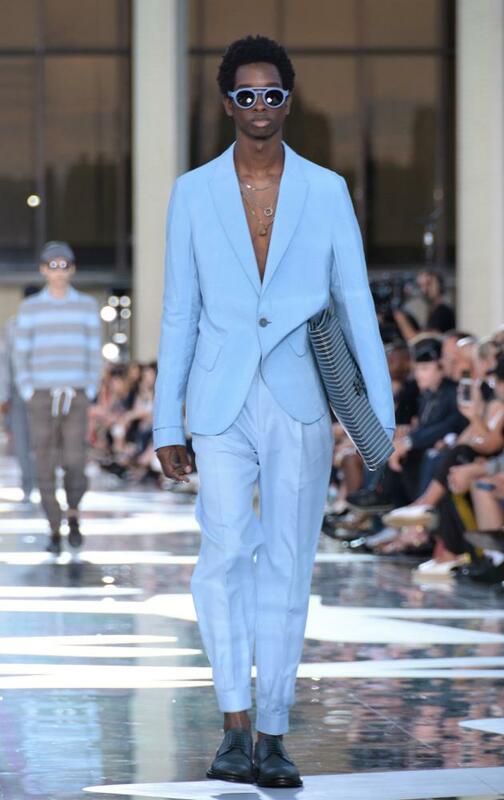 The new look suit has been elevated for SS19 taking references from the 80s and incorporating couture craft. 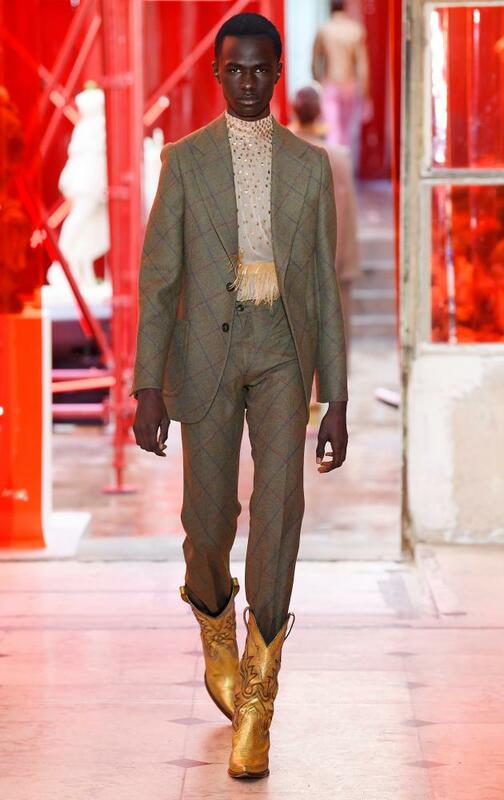 John Galliano at Maison Margiela unveiled his first artisanal collection in Paris and presented tailoring – like his womenswear – cut on the bias. 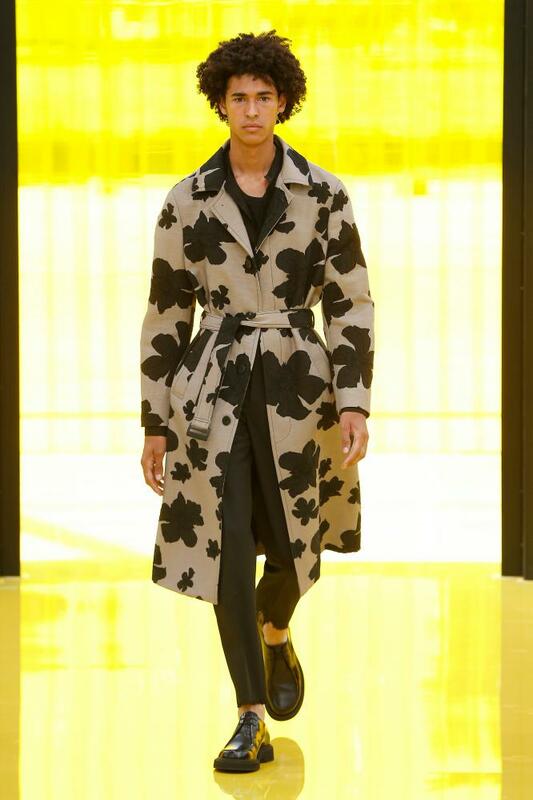 Kim Jones at Dior, meanwhile, layered organza over embroidered wool to create a 3D effect. 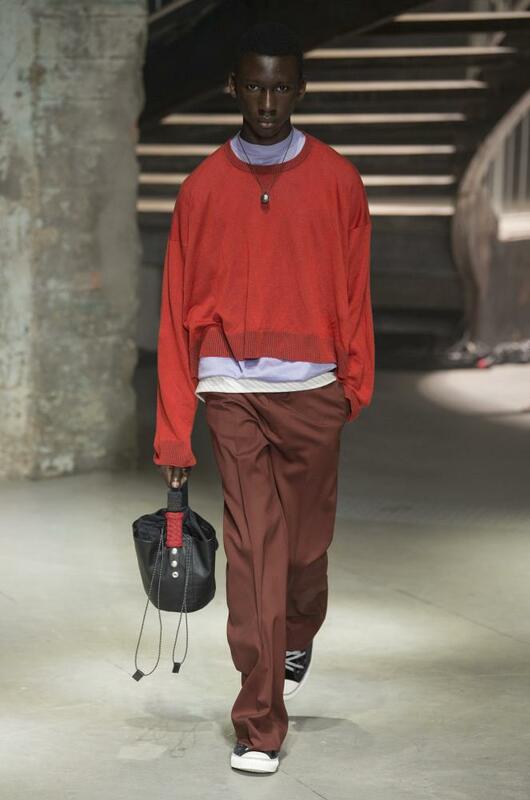 Double-breasted variations came oversized and relaxed, styled with a streetwear twist at Dries van Noten, wide-legged trousers and trainers at Paul Smith and with nothing underneath at Giorgio Armani and Ermenegildo Zegna. 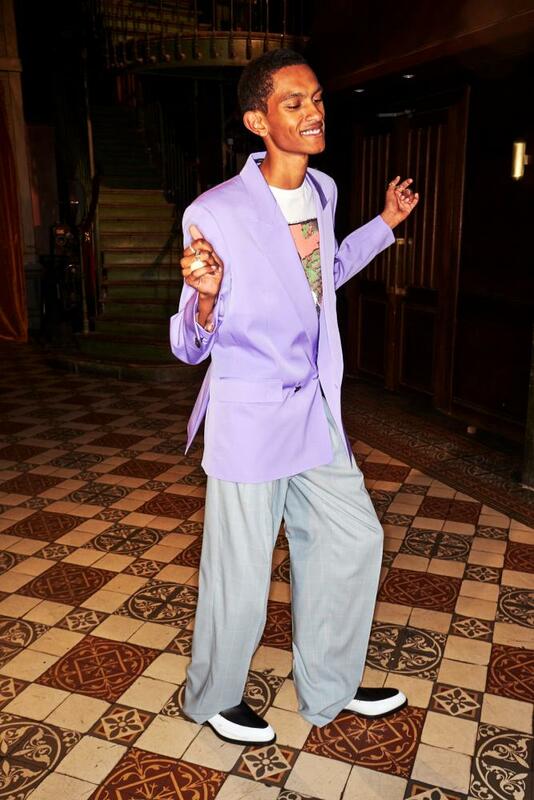 Shades, meanwhile, ranged from industrial grey to sherbet shades of violet, sky blue and rose-petal pink. 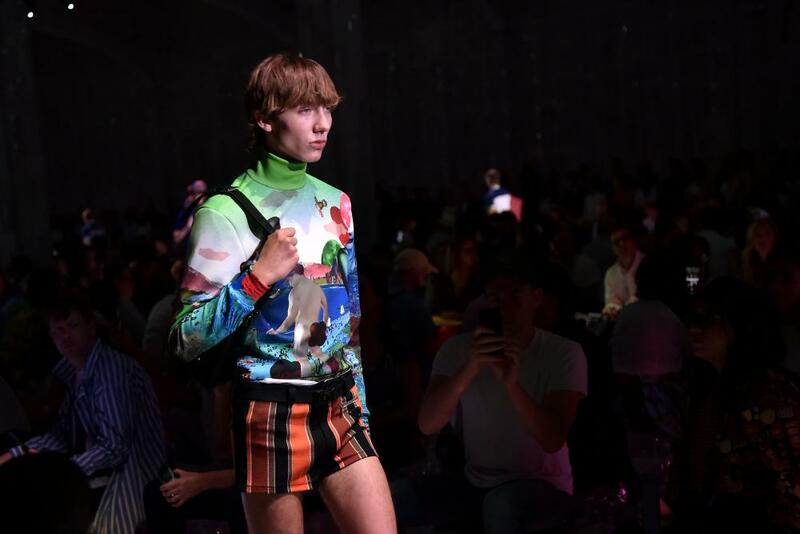 At Cottweiler and Missoni they were made of leather; at Off-white, they were elasticated and sporty; at Fendi, they were given the double-F treatment; at Hermés they were crisp and precision cut; and at Prada there were no fewer than 23 pairs. 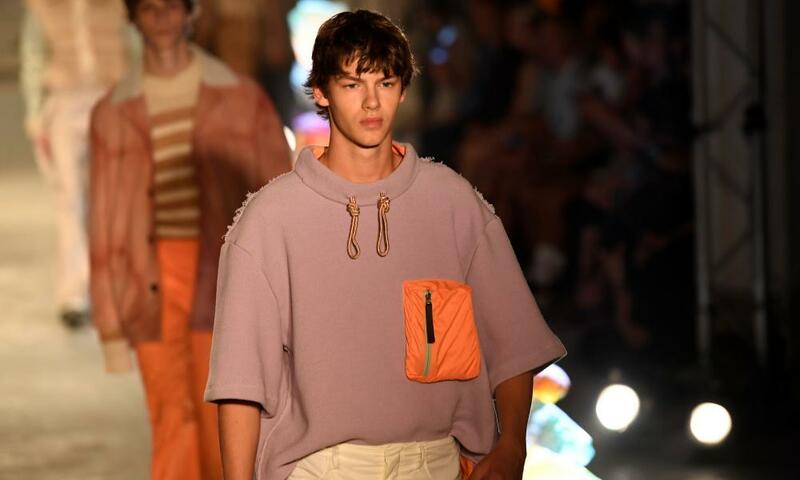 Yes, short shorts are firmly on the sartorial agenda for SS19 – all that remains is to pick a tribe. 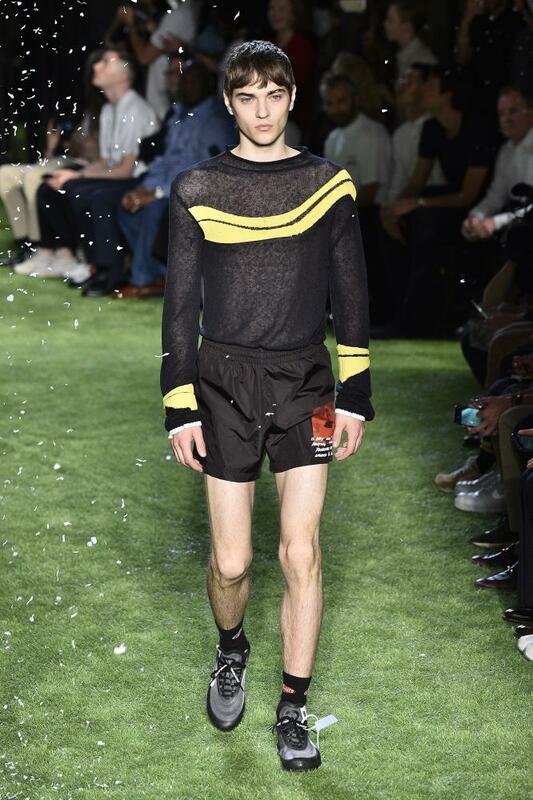 Thigh high: Prada, Cottweiler, Missoni, Fendi and Off-white. 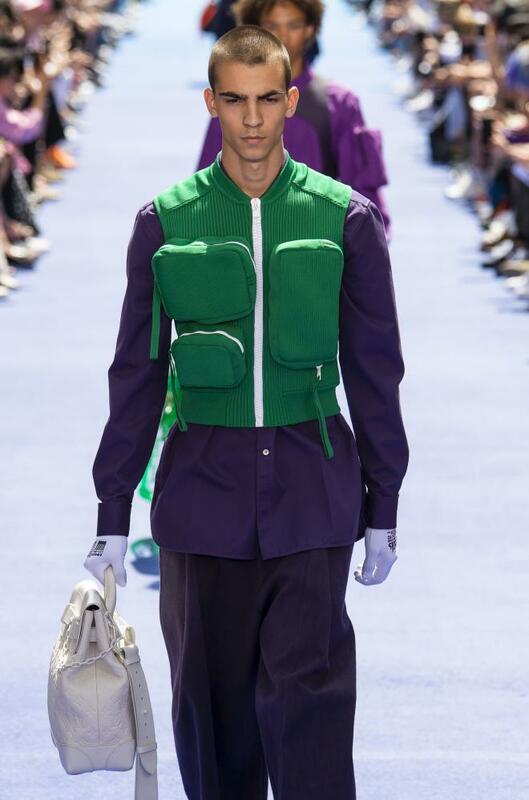 Face masks have been cropping up in menswear periodically this past year, to compelling and dramatic effect. Their purpose varies. 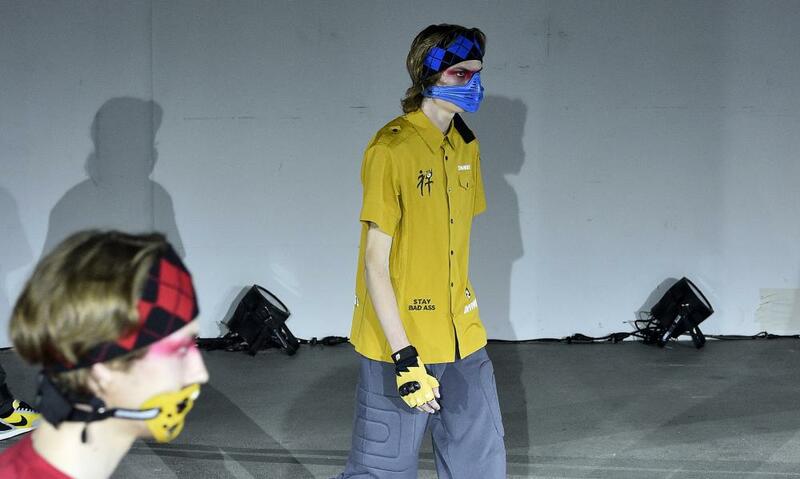 At Vetements’ highly politicised off-schedule show, street-cast Georgian models wore guerilla-style face masks with combat-wear in a show to reference Georgia’s war-torn past. 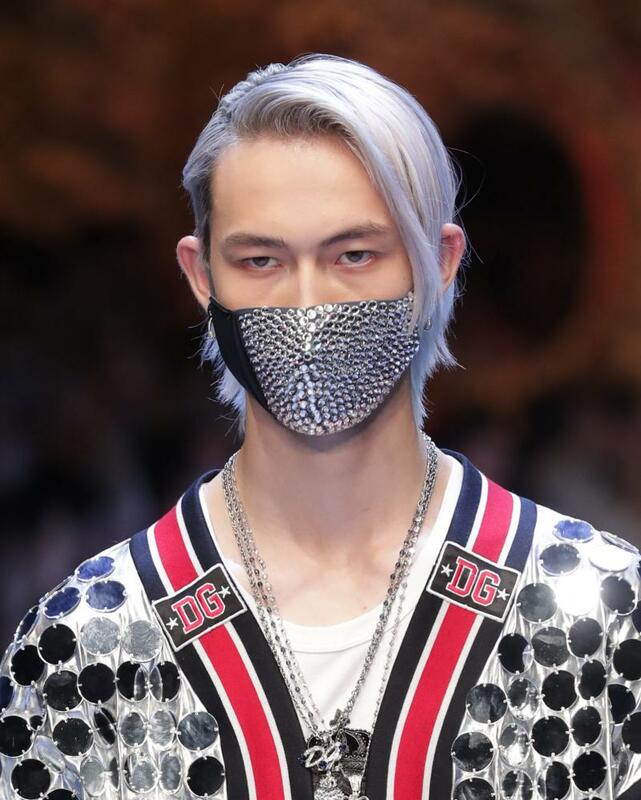 At Dolce & Gabbana, they were a little more glam with surgical masks covered with fine crystals. 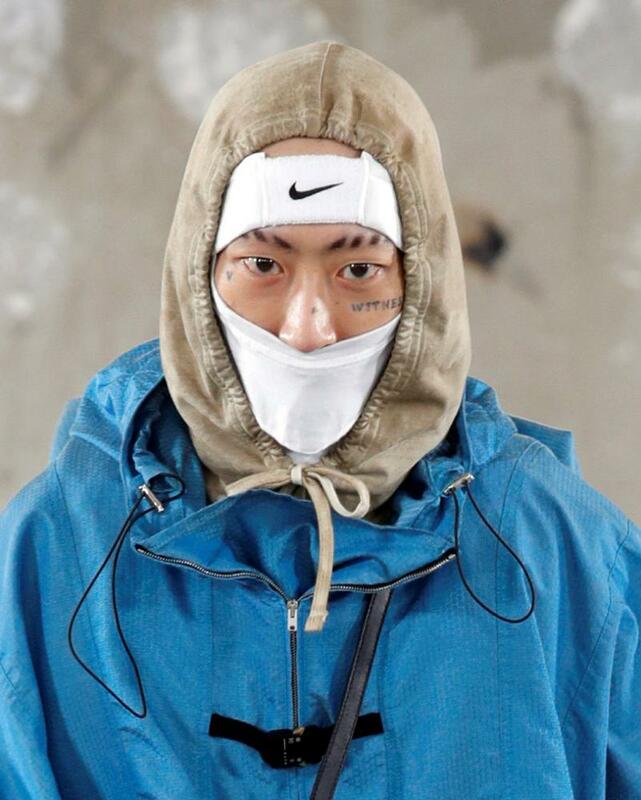 At Alyx, Matthew Williams opted for a sportier take, combining anti-pollution masks in a collaboration with Nike. 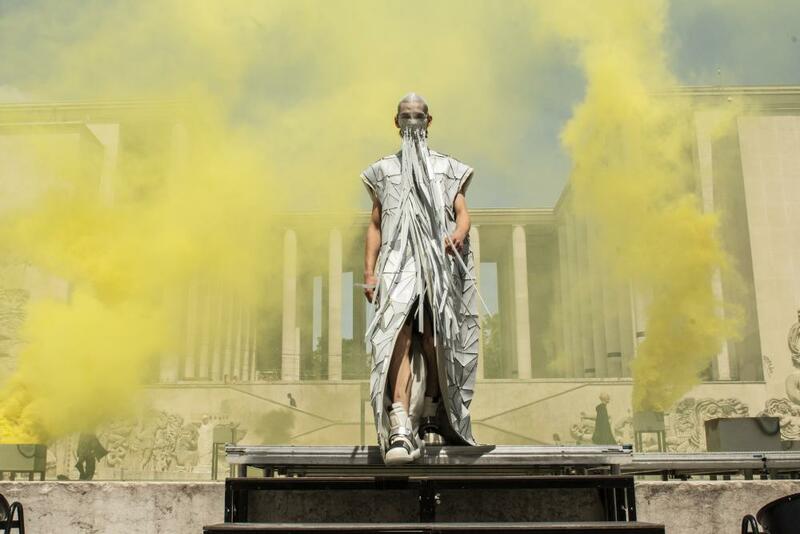 Rick Owens took things one brilliant step further and sent his models out wearing sheer, fringed versions as plumes of primary-coloured sulphur billowed around the set (showgoers were gratefully given them too). 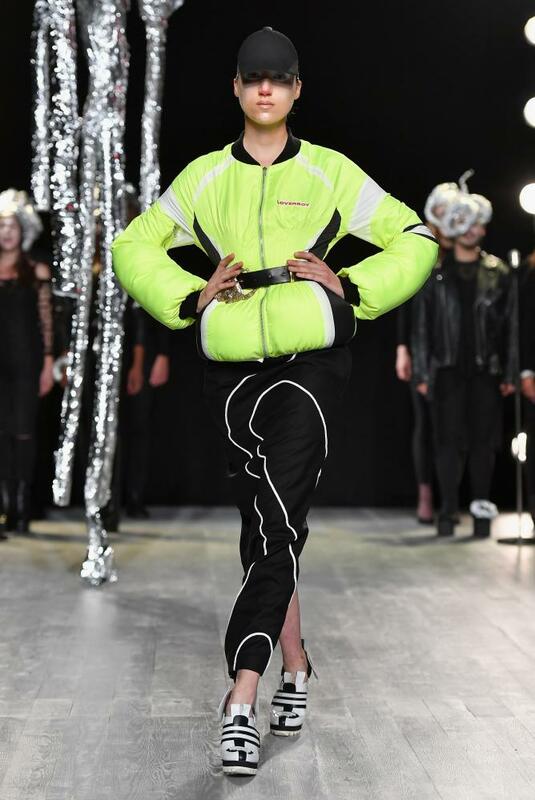 A nod to climate change or simply dramatic staging? Perhaps both. 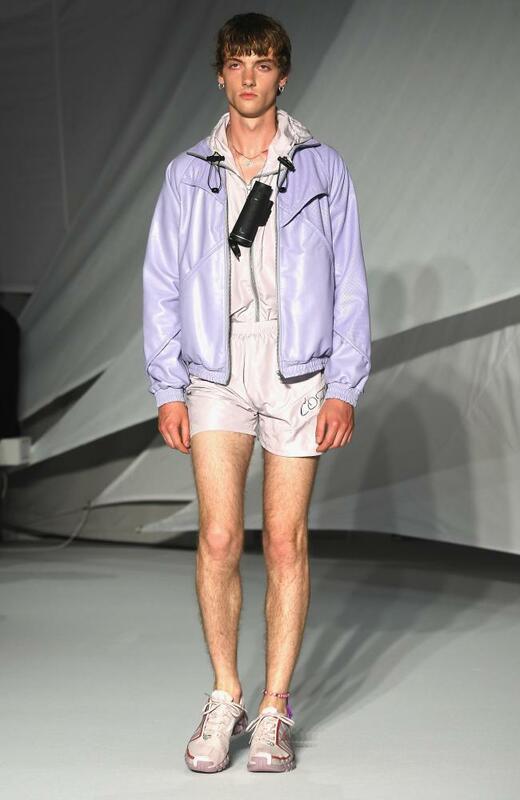 Cover up: Undercover, Dolce and Gabbana, Alyx, Rick Owens. 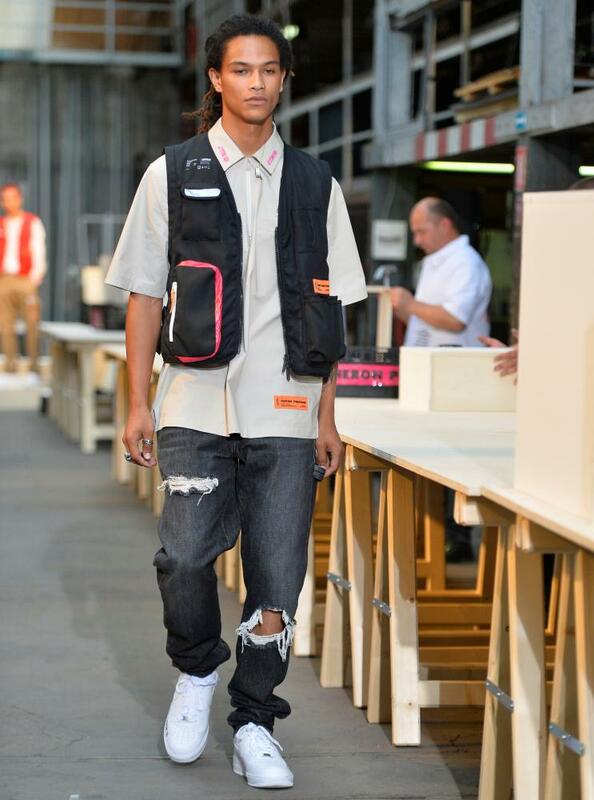 Think utility pockets and think fishermen, boy scouts and law enforcers? Tick, tick, tick. 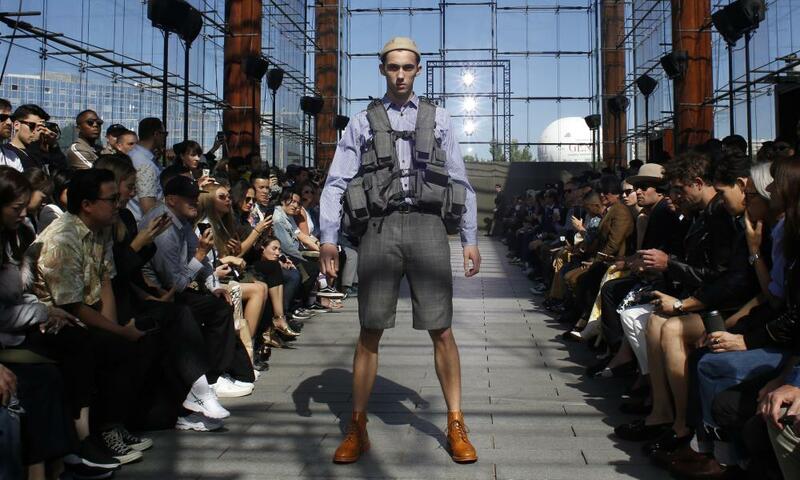 The number of pocketed gilets, jackets and harnesses confirmed that next season, its all about safe-keeping. 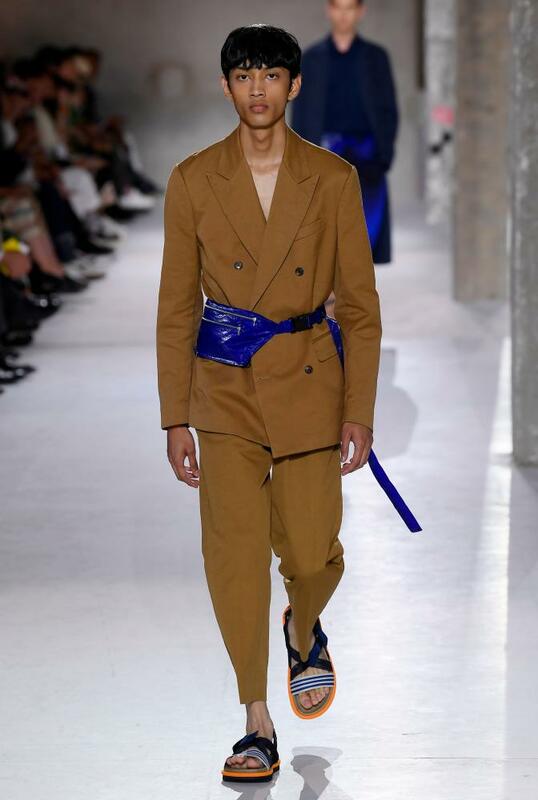 Virgil Abloh at Louis Vuitton led the charge with a multi-compartmentalised body warmer; Junya Watanabe and Samuel Ross at A Cold Wall* opted for a functional seatbelt-style numbers; while Acne dotted a zipped compartment on sweaters. A word to the wise: just remember what you put where. 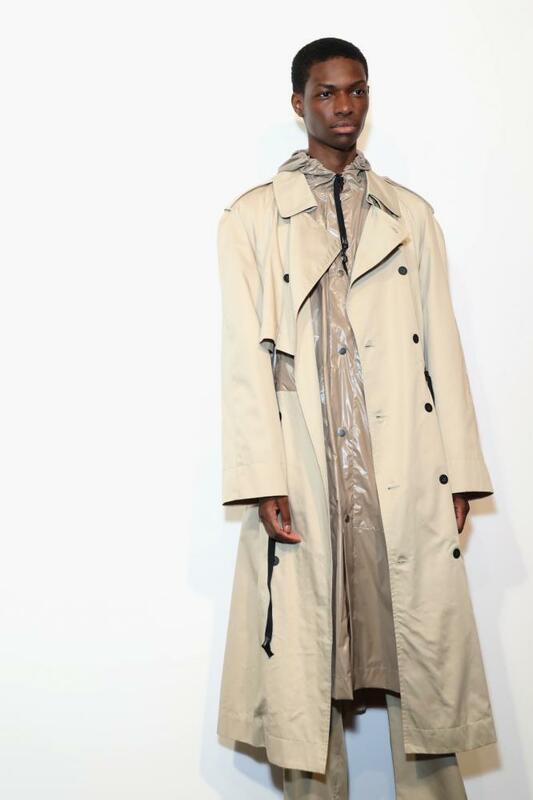 There’s no stopping the rise and rise of the trench coat. 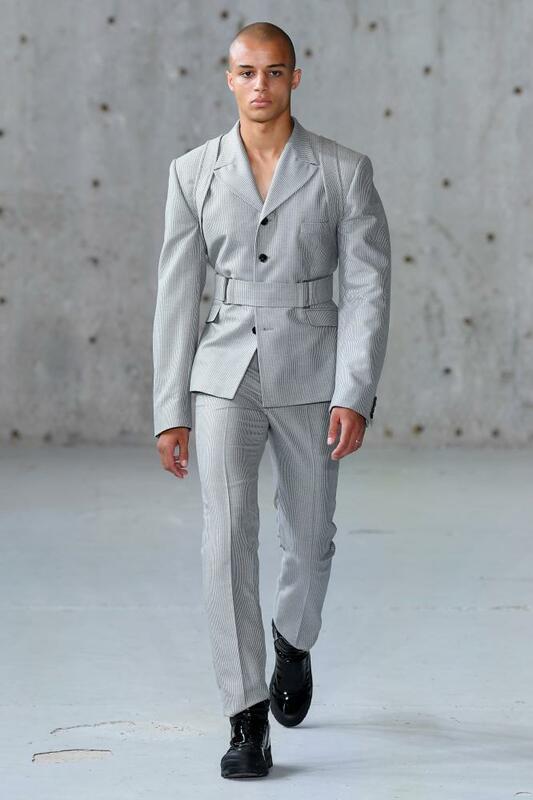 After dominating the womenswear collections, it has set menswear in its sights for SS19. 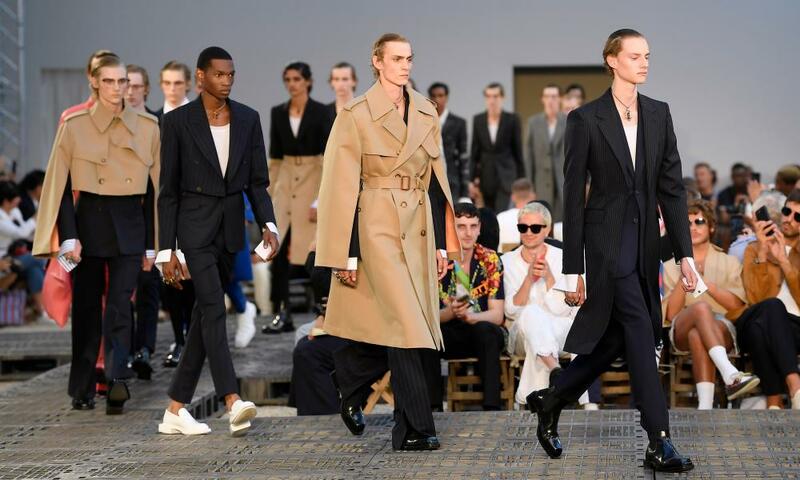 It stole the show at Alexander McQueen, coming in cropped, two-tone and spliced sleeve iterations, while Neil Barrett got eclectic with an abstract oversized leaf print. 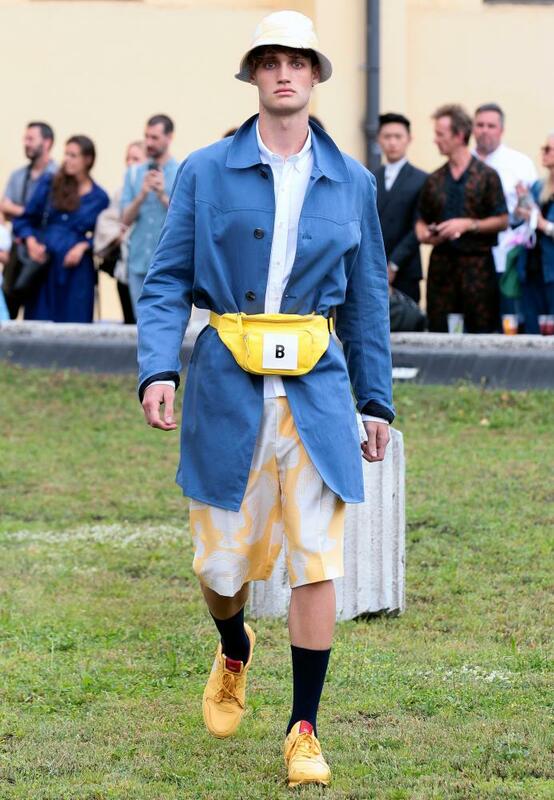 Berthold and Ami kept it classic, confirming its perennial appeal. 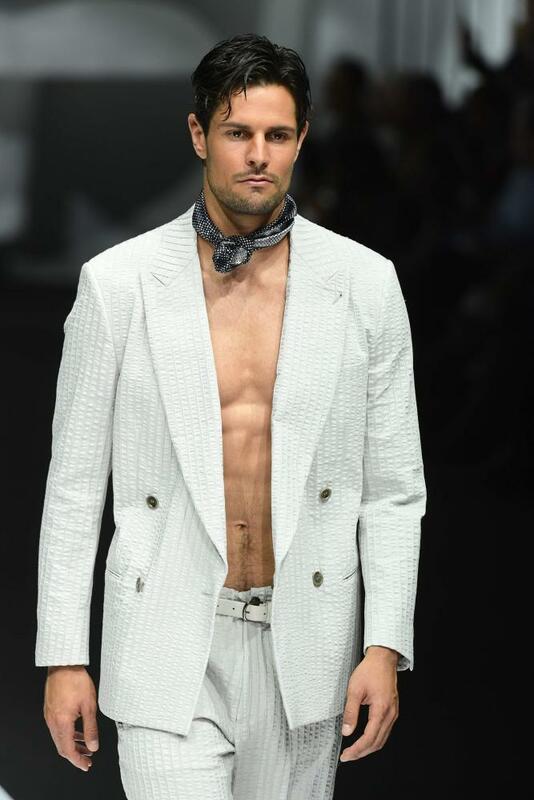 Time to belt up. 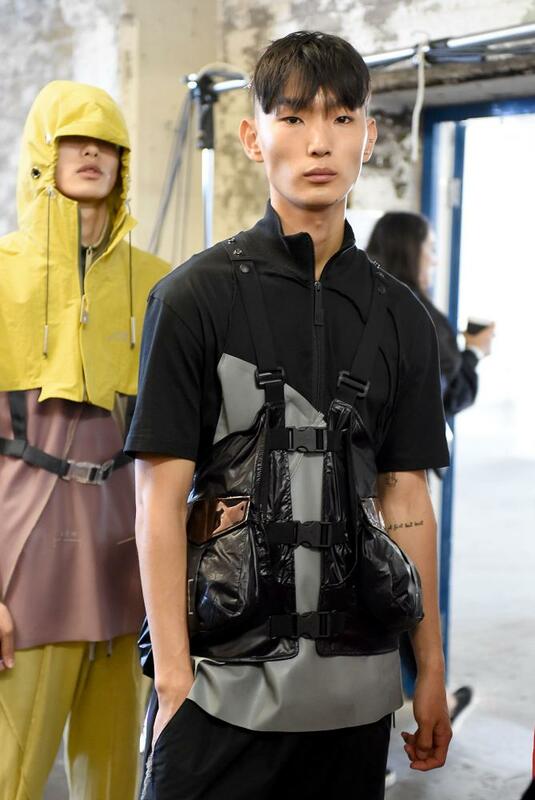 Belt up: on the catwalk at Alexander McQueen (main image), Neil Barrett, backstage at Berthold. 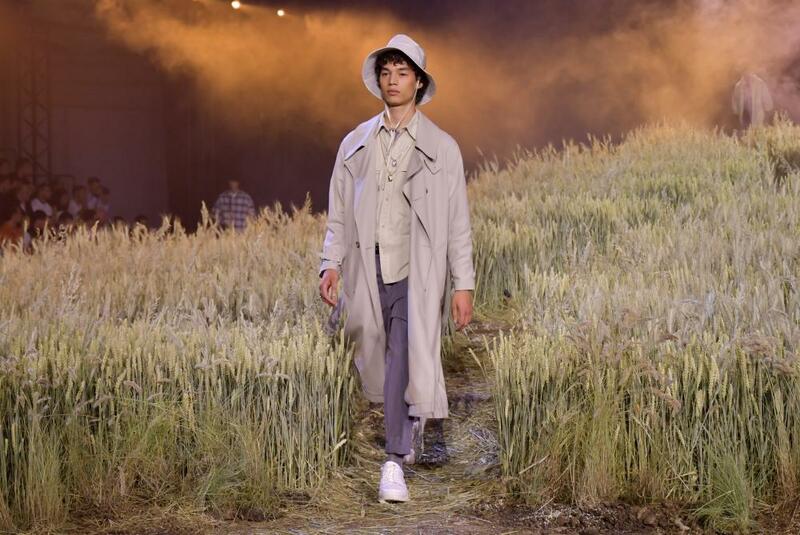 That’s a wrap: a walk in the cornfields at Ami.